Fairway Manufacturing Company is one of the oldest and largest distributors in North American of the Eskesen floating view pen. These pens are highly collectible and make memorable gifts to give to your company’s clients or make the perfect souvenir for your gift shop. As has been the practice for many, many years, Floating View Pens are an unforgettable approach to present your attraction, company or city and state. The crafty, moving design will put a smile on everyone’s face. Look through our catalog today and imagine your own design! Once you’ve decided the style you’re looking for, let us help you with perfect your custom design. We have in- house artists that will work closely with you to create the perfect floating pen. Floating Rock Pens by Fairway Manufacturing Co.
Disney produced a package of Natural American fills to coincide with the release of the Pocahontas movie in 1995. Natural products like seeds, dried corn granules and salt crystals were included as fillers. There’s even a floaty pen blogger that had an assortment of the rock fill pens she offered for trade. 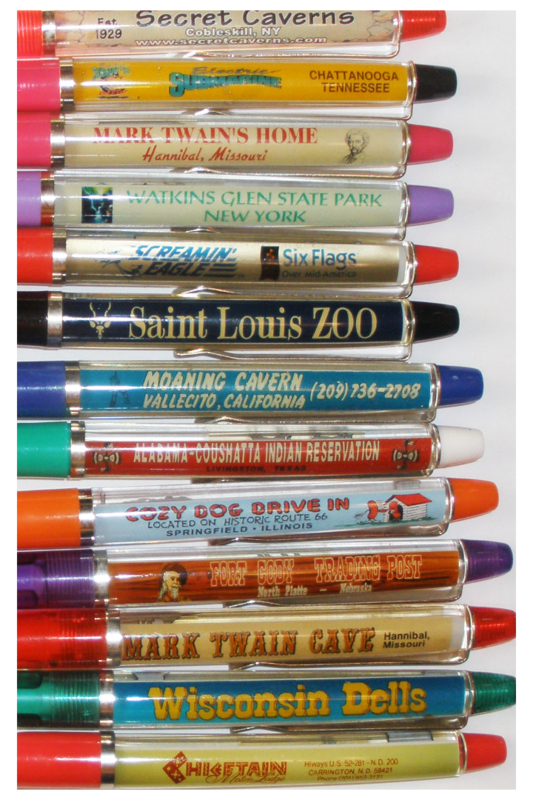 The Eskesen Pen is one of the most collected and reordered souvenir item with new optional fillers being developed each year, and Fairway Manufacturing Company helps develop new products with them. 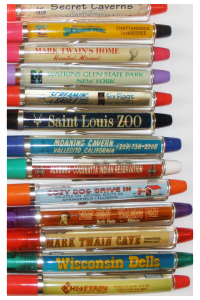 You can order pens from us on our website Fairway Manufacturing Company and Custom Floaty Pens.